RANCHO CUCAMONGA, CA. 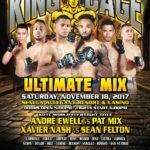 (July 5, 2017) – King of the Cage returns to Seneca Niagara Resort & Casino in Niagara Falls, New York on Saturday, August 12, 2017 with a nationally broadcast event, headlined by a Middleweight fight between Erik Herbert vs. Jay Jackson and two world title bouts featuring current Women’s Atomweight champion Andy Nguyen and current Middleweight champion Sidiah Parker against former champion Daniel Hernandez. MAIN EVENT – MIDDLEWEIGHT 185 LBS. Erik “The Bull” Herbert, Buffalo, New York (WNY MMA) vs. Jay “Action” Jackson, Detroit, Michigan. Herbert has won last three fights, including an impressive first round knockout in his last outing. 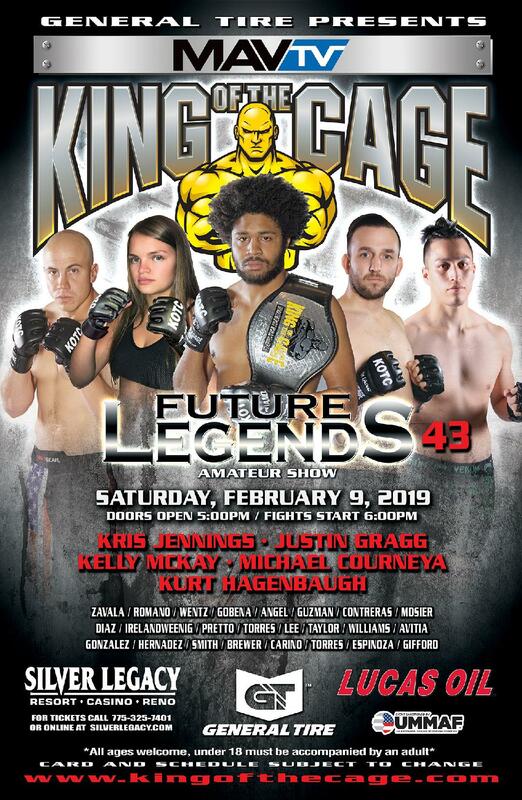 Jackson is a seasoned professional, who recently won his last KOTC fight in a three-round decision. 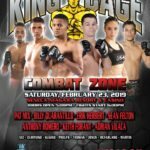 CO-MAIN EVENT – WOMEN’S ATOMWEIGHT WORLD TITLE FIGHT 105 LBS. Andy “The Crasian” Nguyen, Myrtle Beach, South Carolina (Karate Mafia) vs. TBD. 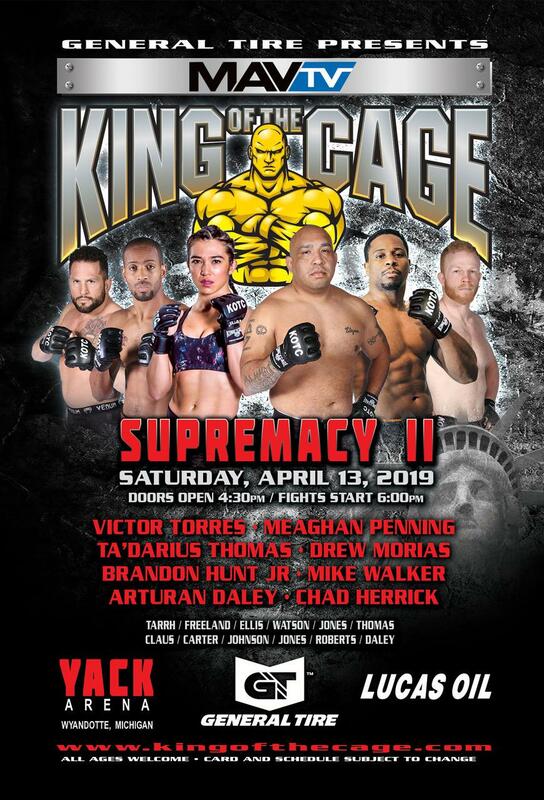 Nguyen is the current KOTC Atomweight World Champion, who has defended her belt in her last two fights. She is one of the top ranked women fighters pound for pound. CO MAIN EVENT – MIDDLEWEIGHT WORLD TITLE FIGHT 185 LBS. Sidiah “Rolling Thunder” Parker, Albuquerque, New Mexico vs. Daniel “El Leon” Hernandez, El Monte, California (The Vault MMA). Parker is the current KOTC World Champion and has won his last six bouts and is one of the top ranked Middleweights. Hernandez is the former KOTC Middleweight World Champion and is coming off an impressive first round victory. 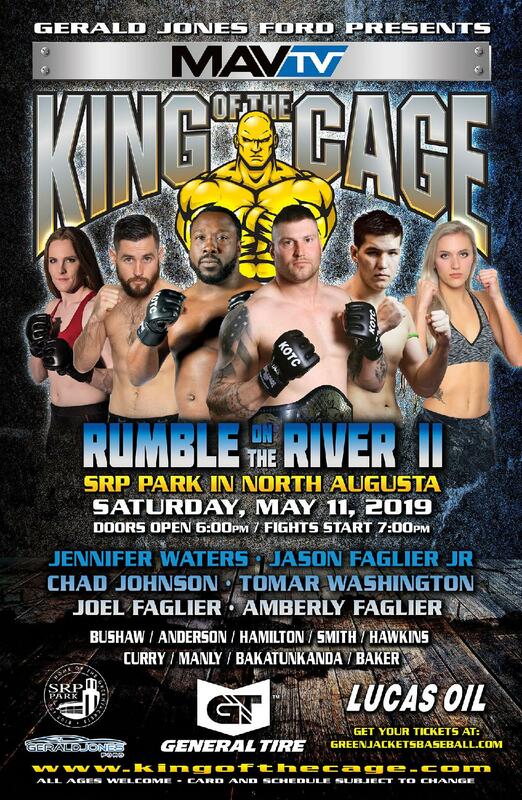 FEATURED EVENT – JR. FLYWEIGHT 125 LBS. Pat “Patchy” Mix, Buffalo, New York (WNY MMA) vs. Jesse Bazzi, Lincoln Park, Michigan (Michigan Top Team). Mix, who is top ranked, is undefeated in both is amateur and professional career. Bazzi is also top ranked. LIGHT HEAVYWEIGHT – 205 LBS. Doors open at 6:00 pm. and fights start at 7:00 pm. Reserve seating and Ringside tickets are on sale now. Tickets are available at select Seneca Resort & Casino retail outlets, online at SenecaCasinos.com and Ticketmaster.com, all Ticketmaster locations, or by phone at 800-745-3000. All Ages. Event card subject to change.